Whether you’re aware of it or not, artificial intelligence (AI) has a ubiquitous presence in our lives today – think the personalised playlists on Spotify or the ‘Recommended for you’ lists on Netflix, both of which use AI to curate a selection tailored just for you. Now its presence is being felt in the area of document management, with AI and cognitive computing set to revolutionise the ways in which we store, archive, process and extract information. Here are 5 ways AI is transforming document management systems. While OCR (optical character recognition) technology allows for text recognition, AI takes this a step further by being able to “read” the information on that document, classify it correctly and automate workflows based on that classification – all at a fraction of the speed a human could. While the system is initially guided by a set of rules, its identification and processing capabilities continue to improve using machine learning, meaning it is able to learn from repeated exposure to documents, as well as from the actions taken by employees upon those documents. An AI-powered document management system could, for example, identify invoices by recognising elements such as invoice numbers, line items and so forth, despite the fact that these elements can appear in different locations and in varied fonts and sizes, depending on how a company chooses to format their invoices. When PepsiCo automated its previously manual Accounts Payable process, using ABBYY FlexiCapture’s technology to recognise invoices, in just 3 months, the system was able to process over 21,000 documents (or 40,000 pages) in 5 different languages with minimal errors. By being able to accurately read information and understand context, an AI-powered document management system can take data extraction to a whole new level – an ability that is more vital than ever, as organisations are inundated with more and more data. Document clustering, whereby documents are grouped by topics without prior classification, is another ability made possible by AI. This can help organisations understand how documents relate to one another within a wider context, and help them find similarities and make inferences that perhaps would not have otherwise been possible. AI-powered document management systems can help to enhance security and protect customer data, by detecting sensitive and personal identifying information (PII), and flagging these documents for special handling. Automatic classification and processing also means documents aren’t left in unsecured locations while waiting to be actioned. It can also help enforce user access, by using highly accurate and secure biometric techniques, like facial recognition, to identify employees who have permission to access that data, thereby helping to prevent unauthorised viewing or alteration of documents. 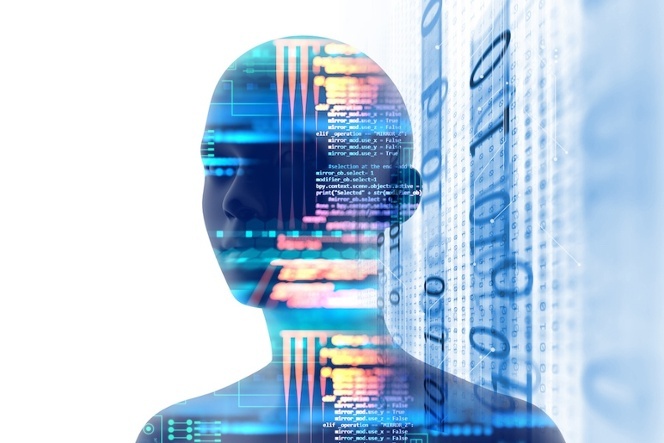 Perhaps the most exciting prospect of AI in document management is the potential for analytics and the value this can bring to organisations. Cognitive platforms as a service (PaaS), such as IBM Watson, Microsoft Azure Cognitive Services and OpenText Magellan, takes document management to new heights by using the data collected and applying techniques such as machine learning, predictive analytics and data visualisation to improve decision-making and optimise business processes. With the advent of AI, document management systems are progressing in leaps and bounds, and early adopters of the technology will be the first to reap the rewards. Are you ready for a document management system to transform your business? Don’t get left behind – find out what one can do for your organisation with a complimentary enterprise content management (ECM) demo. Book one today. Or if you’re already looking for a solution, make sure you choose the one best suited to your business with our comprehensive ECM Checklist. KYOCERA Document Solutions provides document management solutions with ECOSYS technology to reduce the total cost of ownership (TCO) and minimise the impact on the environment, while delivering greater productivity, reliability and uptime.